If you’re planning to go on a vacation this winter, there are several ways in which you can save money on your HVAC energy costs while you are away. These all start, of course, with raising or lowering the temperature on your thermostat before you leave, but you might be surprised to learn that there are ways to control the climate in your home while you’re gone, too. If you plan to be away from home for a few days or even a few weeks, you might be tempted to turn your HVAC system off completely to save money. This might seem like a good idea, but it can cause you some problems. Many of the items in your home, including plants, electronics, and wood furniture, are sensitive to humidity changes. When you change the humidity in your home significantly by leaving your HVAC system off for an extended period of time, you could actually harm your indoor plants or cause damage to other items. As such, leaving the HVAC system on at a temperature that will save you money while keeping the temperature and humidity stable is key. These days, technology seems to have its place everywhere, and the same can be said for your HVAC system. Another great idea, particularly if you are away from home frequently, is to purchase a programmable thermostat that you can control from your smartphone. Several manufacturers make them, and they range in price from about $50 to $200. Though it might sound like a lot for a thermostat, it can be viewed as an investment. Imagine being a thousand miles from home and still able to monitor the climate in your home, set the controls, and more. This way, if the weather fluctuates while you are away, you can change your thermostat to suit. 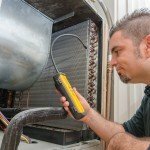 If you’ll be away from home for more than a few weeks, or if you have a winter home in Tampa that you only use for a few months out of the year, then you might think it isn’t necessary to leave the HVAC unit running while you are away. However, the damp Florida climate provides the perfect breeding grounds for mold, and this isn’t something you want in your house. Consider purchasing a dehumidifier that is controlled with a humidistat. Much like a thermostat, it reads the humidity in the home and kicks the unit on whenever it reaches a certain point. This way, you can save money and protect your home from dangerous mold. Set the humidistat so that the humidity does not exceed 65%. If you do not have a humidistat, program the AC to kick on at 72 degrees in the morning just before sunrise and then to run at 88 degrees for the rest of the day. If you do not have a programmable thermostat, then you can set the temperature at 77 degrees in a condo or apartment and 80 to 82 degrees inside your home. If you are leaving during the time of year when it is likely to drop below freezing, the only time you really need to be concerned is if there is a chance that your water lines may freeze. 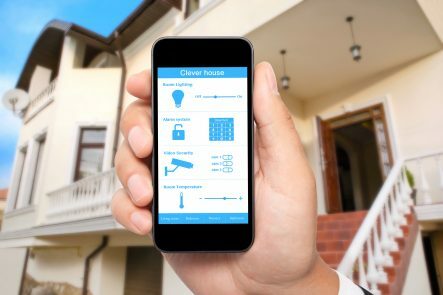 In Tampa, this is a highly unusual event, but having a trusted friend or family member on standby – or having a thermostat that you can program from your smartphone – can be a huge time-saver.